The Angry Birds series is finally set to arrive on Facebook, with Rovio planning to introduce the games to the world’s most popular social network on Valentine’s Day, February 14. Our friends at Penn Olson report that the Finnish company is planning to introduce the blockbuster title in the ‘capital of Facebook’. That’s Indonesian capital Jakarta, if you didn’t know know, which has 17 million registered Facebook users, more than any other city in the world. Rovio is making a big push to extend the reach of the Angry Bird franchise in Asia — having already set up an office in China — as it moves towards one billion unique downloads, a figure that it is just 300 million short of at this point. A host of tech firms are targeting Asia for growth and, for Rovio, that means that its games must be available on every platform possible. The company has already linked up with Samsung for its smart TVs and, Asia being Asia, it is targeting non-smartphones, and will team with Nokia to release the game on its Asha devices. We’ve tipped Asha as having huge potential and Rovio is working to support and appear on other devices in the non-smartphone segment, which accounts for 81 percent of devices in Asia. Rovio is targeting “every screen” for Angry Birds as it works towards introducing a fully synchronised gaming experience for its fans. Such a set-up would allow gamers to start and resume their playing sessions across a range of devices and via the Web. 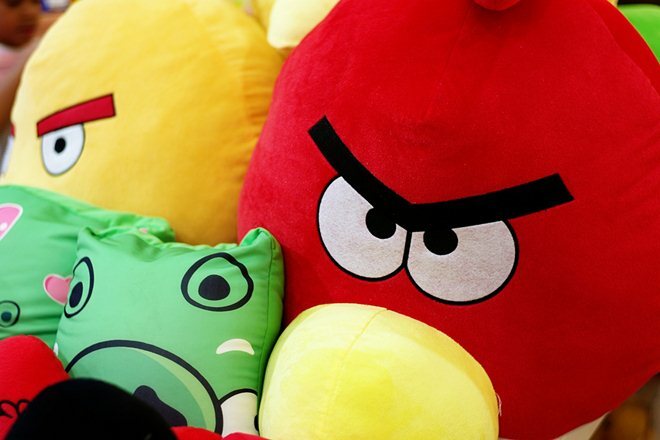 Rovio founder Peter Vesterbacka claims that 40 percent of Angry Birds gamers are interested in in-game purchases, and the company is exploiting this possibility with the introduction of ‘power-ups’ within the Facebook game. The add-ons, which include items like stronger birds, will cost $0.99 and help further monetise the franchise. More Angry Birds exposure may seem like overkill for many but the title is hugely popular in Asia, where all manner of fake goods are available — the pick of which includes a theme park and 7-inch tablet — however the counterfeit issue is one that Rovio’s office in China will work to combat. The title hit 6.5 million downloads worldwide on Christmas Day 2011 and, in collaboration with Nokia, it now boasts the Guiness Book World Record for “The Most People in a Mobile Phone Game Relay” after 9,000 people turned up to an event in Kuala Lumpur, Malaysia, last year. Watch out, those who are not fans of The Birds, as they are coming soon to a Facebook friend or wall near you.